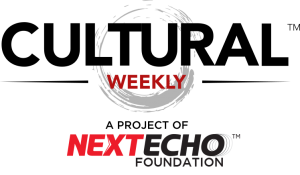 Gypsy flamenco in Silverlake, contemporary ballet meets South Asian music in Beverly Hills, a seven hour triptych in Westwood; new contemporary dance in Pasadena, starting the Merce Cunningham centennial in Hancock Park, international choreographers in Long Beach, and more SoCal dance this week. Two world premieres from contemporary choreographers hailing from Rome and Tel Aviv join two repertoire works from artistic director Jennifer Backhaus as her eponymous Backhausdance takes the stage. 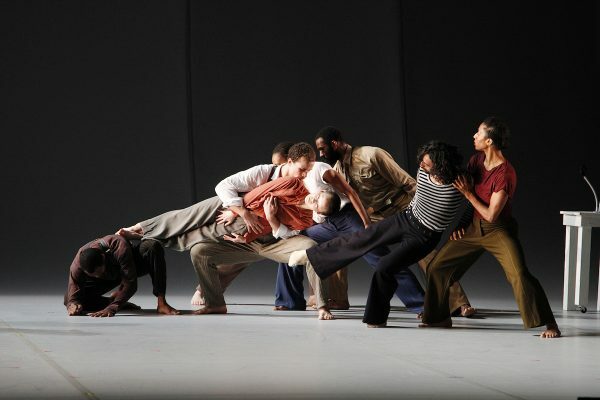 Italian Mauro Astolfi and Israeli Jhonathan Soutchy provide the two new works as the troupe concludes its 15th anniversary season marked by its first European tour and an engagement at New York’s Joyce Theater. Cal State University Long Beach, Martha B. Knoebel Dance Theater, 4200 Atherton St., Long Beach; Fri., Nov. 2, 8 p.m., Sat., Nov. 3, 2 & 8 p.m., $40-$60, $20. https://backhausdance.brownpapertickets.com. Backhausdance. Photo courtesy of the artists. Always welcome visitors from San Francisco, choreographer Alonzo King and his contemporary company Alonzo King Lines Ballet are known for beautifully trained, long-limbed dancers who shine in King’s textured choreography. The company brings Sutra, a product of King collaborating with Grammy Award-winning Indian musicians Zakir Hussain on tabla and Sabir Khan on the Sarangi instrument and vocals. San Francisco critics praised Sutra as a masterful blending of eastern music and western dance. Wallis Annenberg Center for the Performing Arts, Bram Goldsmith Theater, 9390 N. Santa Monica Blvd., Beverly Hills; Thurs.-Sat., Nov. 1-3, 7:30 p.m., $35-$105. 310-746-4000, http://www.thewallis.org. Alonzo King Lines Ballet. Photo by Chris Hardy. The long-running favorite Forever Flamenco with its roster of artistic directors and recurring line up of some of the L.A.’s best flamenco performers is a mostly monthly, one-time only Sunday performance. Breaking that pattern, this installment titled Family Gypsy Song offers a Thursday show before the usual Sunday event. 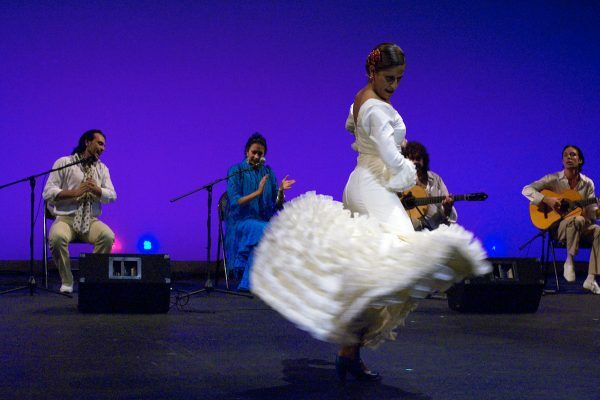 Dancers Fanny Ara and Cihtli Ocampo are joined by guitarist Ethan Margolis, singers Antonio de Jerez with guest artists Juan Bacán, Miguel Funi Hijo, and Gypsy vocalists from from Lebrija, Spain. Fountain Theater, 5060 Fountain Ave., Silverlake; Thurs. & Sun., Nov. 1 & 4, 8 p.m., $40-$50, $30 seniors & students. http://www.fountaintheatre.com. Forever Flamenco’s Cihtli Ocampo. Photo by Elazar Harel. 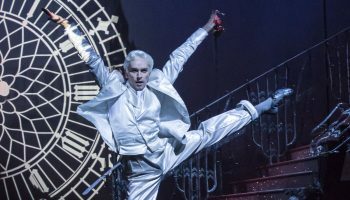 Fans of the choreography of Bill T. Jones know better than to be put off by the description of his Analogy Trilogy as a three-part performance spanning seven hours including an intermission and dinner break. Whether it’s that World Series game the Dodgers won or the Sanskrit epic Mahābhārata or getting anywhere on the 405 freeway, some things take the time they take to get to a destination (and unlike the 405, Jones is worth the trip). Four years in development, in Analogy Trilogy the Bill T. Jones/Arnie Zane Company considers three different types of war including personal wars fought within oneself. The opening segment considers a Jewish nurse who resisted the Germans in World War II Vichy France, sadly still relevant coming a week after the resurgence of anti-semitic murders in Pittsburgh. UCLA Royce Hall, 10745 Dickson Ct., Westwood; Sat.-Sun., Nov. 3-4, 2 p.m., $66-$159 (buffet dinner available for an additional $15). 310-825-2101, https://cap.ucla.edu. Bill T. Jones/Arnie Zane Company’s “Anthology”. Photo by Paul B. Goode. 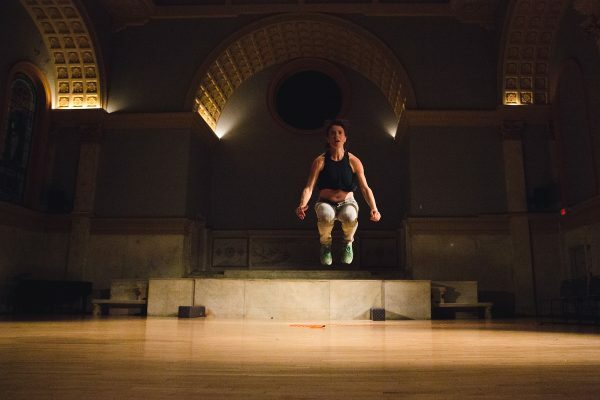 Tucked away behind a retail building, this intimate venue with the descriptive name A Room to Create, but better known by it’s nickname ARC has been a venue for dance classes while also nurturing contemporary performance. Now ARC unveils a new dance performance series, the first installment Gold Series No. 1 features original works curated on the theme of that precious metal. The debut program includes notable local choreographers Madison Clark, Sarah Leddy, Carol McDowell, Daniel Miramontes, Alexx Shilling, and Lailye Weidman. The works survey topics ranging from wearable art to popular music figures to acceptance of being amazing. ARC, 1158 E. Colorado Blvd., Pasadena; Fri.-Sat., Nov. 2-3, 8:30 p.m.; $20, $15 students & seniors. https://goldseries.brownpapertickets.com. Gold Series No. 1’s Lailye Weidman. Photo by David Gonsier. Not sure it’s on the official gift list for a 25th wedding anniversary, but Pam Heffler and Mark Yamor may inspire dance concert be added to the list as the two dancers celebrate their silver wedding year with performances exploring relationships. 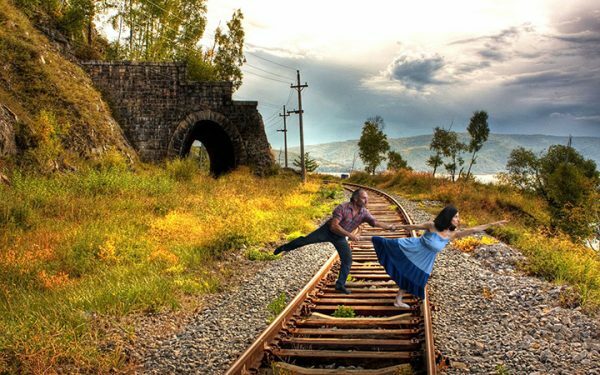 Titled Train of Love: Life and Love on and Off the Rails, Heffler and Yamor consider how relationships begin, end, challenge, and sometimes endure. Highways Performance Space, 1651 18th St., Santa Monica; Fri.-Sat., Nov. 2-3, Fri., Nov. 9, & Sun., Nov. 11, 8:30 p.m., $25, $15 students & seniors. https://highwaysperformance.org. Mark Yamor & Pam Heffler in “Train of Love: Life and Love On and Off the Rails.” Photo courtesy of the artists. 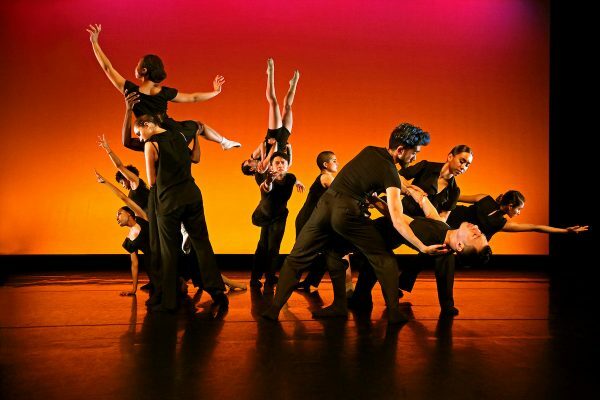 Reflecting the spectrum of contemporary dance styles offered by the Santa Monica College dance department, Synapse Dance Theater under directors Jae Lee and Mark Tomasic brings a program of jazz, contemporary ballet, modern, post modern and street dance. The Broad Stage, 1310 11th St., Santa Monica; Sat., Nov., 3, 4 & 7:30 p.m., Sun., Nov. 4, 7:30 p.m., $23, $20 students http://www.smc.edu/ACG/Marketing/Events/Pages/Dance.aspx. Synapse Dance Theater. Photo courtesy of the artists. L.A. Unbound returns with a new line up of performers with styles ranging from tap to street dance, contemporary to ballet. The action moves to a new venue. Alex Theatre, 216 N. Brand, Glendale; Sun., Nov. 4, 4 p.m., $20-$28. http://www.alextheatre.org. Over the past year, Heidi Duckler Dance Theater continued to cement its rep as SoCal’s premiere site specific dance theater troupe with performances inside the historic San Gabriel Mission, around and atop the first downtown “skyscraper” built by a woman, throughout an abandoned Chinatown movie theater, and at less historic but nonetheless significant civic venues including a technicolor art installation siding a Culver City parking structure, a scenic Baldwin Hills lookout, and a Hollywood Hills theater’s loading dock. 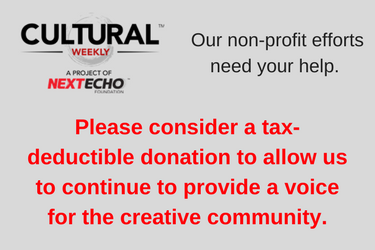 Naturally, when HDDT hosts a fundraising performance and gala, expect a significant site in the downtown fashion district which offers both a setting and a cultural commentary. For its 33rd gala, HDDT honors two women civic leaders along with a performance. 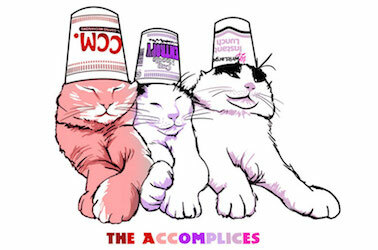 Cooper Design Space, 860 S. Los Angeles St., Suite 1100, downtown; Sat., Nov. 3, 6 p.m., $250 +. https://hdd33gala.eventbrite.com. 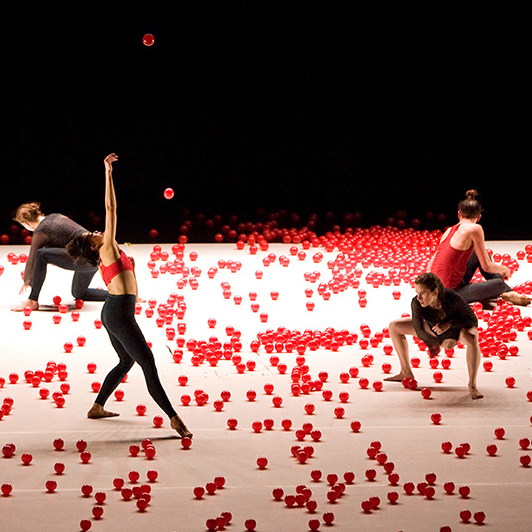 Heidi Duckler Dance Theatre. Photo courtesy of HDDT. 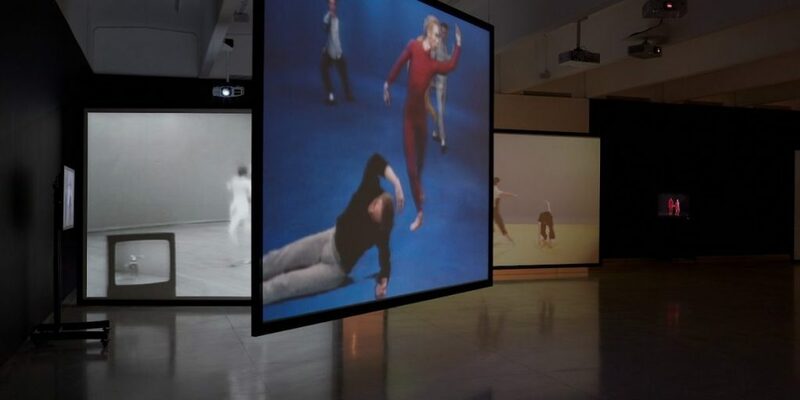 A harbinger of upcoming centennial activities celebrating the life and legend of the late modern dance choreographer Merce Cunningham, the exhibit Clouds and Screens, includes two large works by Andy Warhol and Charles Atlas, both artists associated with Cunningham’s company. The installation also includes two early videos of Cunningham’s work with more to come during the exhibition’s run including performances. 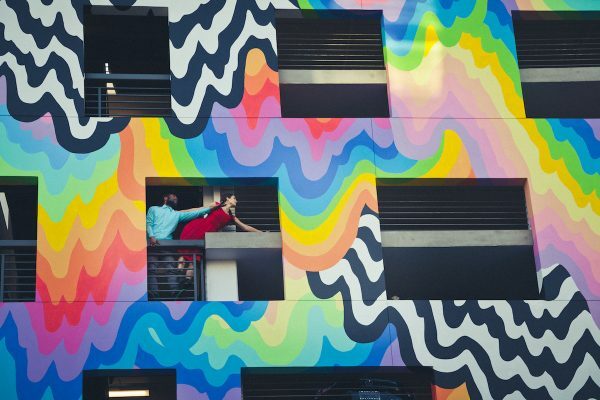 Los Angeles County Museum of Art, 5905 Wilshire Blvd., Mid-City; Sun., Oct. 28-March 31, $25, $21 students & seniors (museum admission). http://www.lacma.org/event/memprev_merce2. Disney takes a whack at the seasonal favorite with Disney The Nutcracker and the Four Realms. 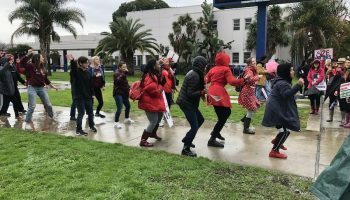 For the opening weeks at its flagship Hollywood theater, selected screenings of the film are preceded by live dancing with Los Angeles Ballet performing at the premiere. 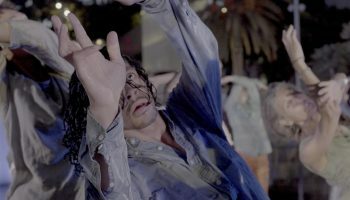 A complete line up of dance companies and screenings at https://elcapitantheatre.com/communitydanceperformances. El Capitan Theatre, 1755 N. Highland Ave., Hollywood; live dancing Thurs., Nov. 1-Sun., Nov. 18, $16-$18, $13 students. https://elcapitantheatre.com.